The registration process requires your personal contact information. This information is available only to our staff, in order to contact you regarding transactions and your account. GunBroker.com will not share your information with third parties without your consent. Note: Click and read the "User Agreement" before continuing the registration process. 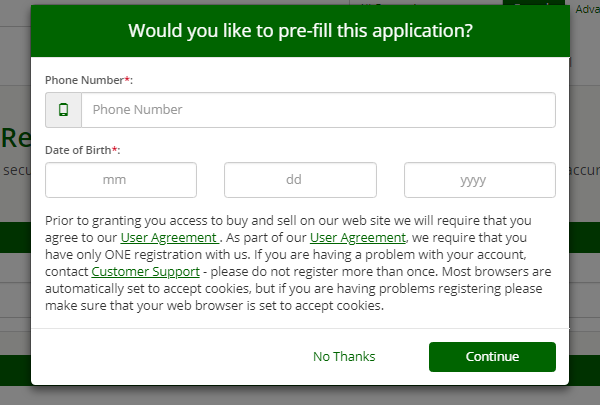 If you pre-fill click "Continue"
If you select "No Thanks"
Manually input your contact information and click "Continue"
Once your personal contact information is submitted, we send an email which contains an Registration Code and a link with instructions to complete the registration process. Note: Persons knowingly entering false contact information may face legal remedies if used to defraud this site or another registered user. The account profile is required to be the personal contact information for the owner of the account. Note: These addresses can be added to the account as an alternative address, after registration. GunBroker.com will send a Registration Code to the Registration Email address in order to complete the account activation process. 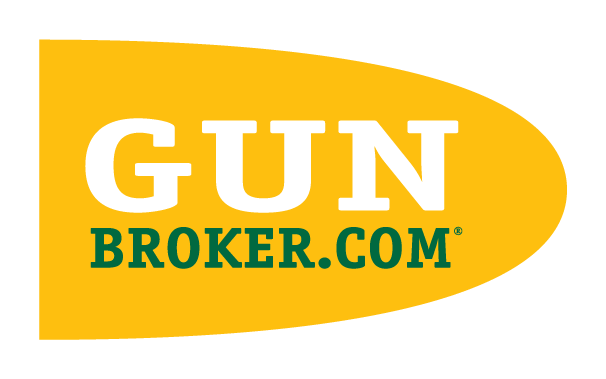 When you register with GunBroker.com, we send a Registration Code to the Registration Email Address you provided in your contact information. Copy the new registration link and open a new browser tab and paste the link. 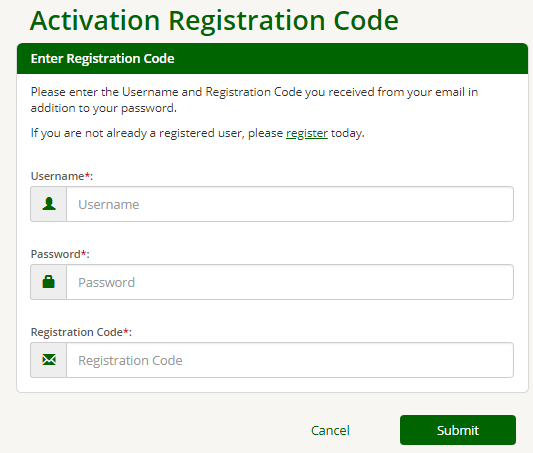 You will need to manually input your Username, Password and Registration Code and click "Submit". Click here to enter Registration Code. Click here to resend Registration Code.